The upcoming convertible should be officially announced on April 29, but its alleged specs were revealed by a Swiss online shop already. In early March, the Aspire Switch 10 surfaced online in a design database and now it looks like Acer will not call the convertible this way or Iconia W5, but Aspire Switch SW5, as it has just been revealed by a product listing by Swiss e-tailer Brack. The Acer Aspire Switch SW5 will have a stylish aluminum case and is expected to feature a dock with extra battery and standard USB connectivity which will add 6 hours to the standard 8-hour autonomy. Brack's product listing displayed a price of only €368 EUR - roughly $510 USD. 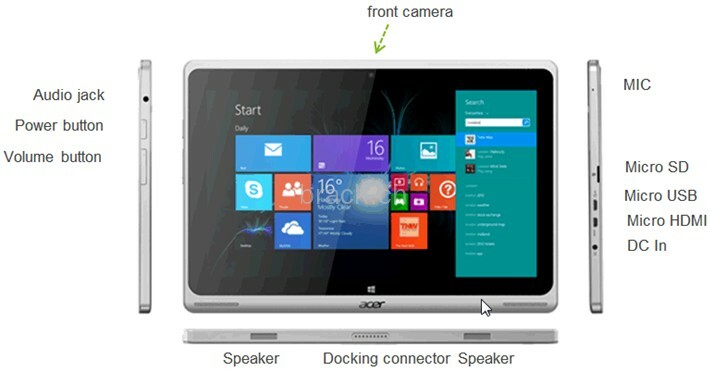 More details should be available once Acer officially unveils the product. We will keep you posted on this.